Last week, the Canadian Tire in Brandon hosted Special Olympics Manitoba - Westman Region at a table in their store to help raise awareness for our cause. 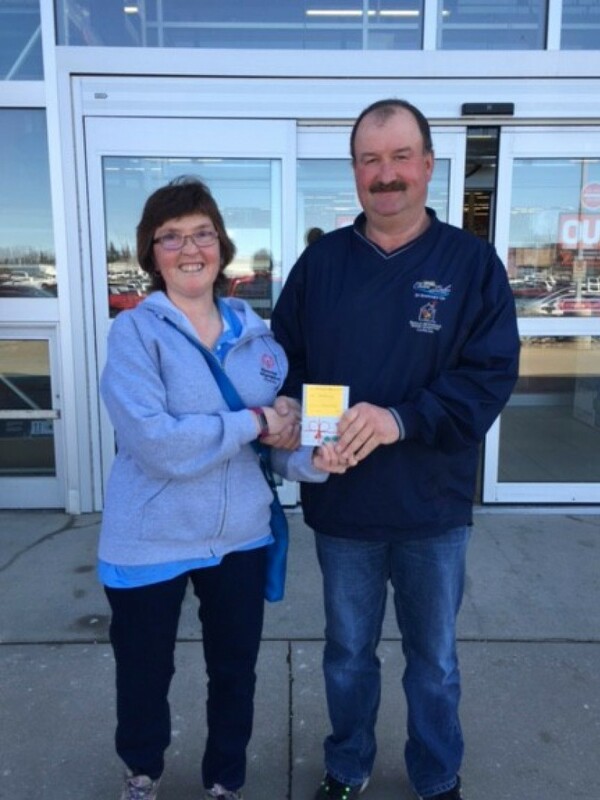 A dedicated group of volunteers in Westman ran a raffle in conjunction with the week long donation drive and we are pleased to announce that Albert Naismith of Carberry, MB (pictured above with athlete Tammy Lumax) won the $250 gift card to Canadian Tire! The raffle raised over $2500 for the region and our athletes thank all who participated!